With the latest wave of heavy rains pounding the region, we get an update on the damage Vermont has sustained. We speak with Vermont Emergency Management Director Mike O’Neil, Governor Peter Shumlin, Lieutenant Governor Phil Scott and VPR’s John Dillon on the flooding situation around the state. The regional chapter of the American Red Cross wants to boost its volunteer corps. 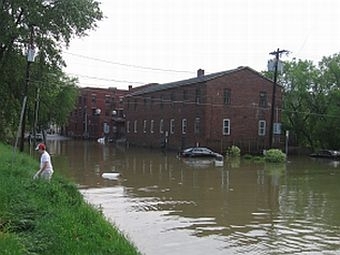 One year after Tropical Storm Irene, the Red Cross has launched a program designed to help towns and individuals prepare for emergencies when outside assistance is not available.